Just beautiful! 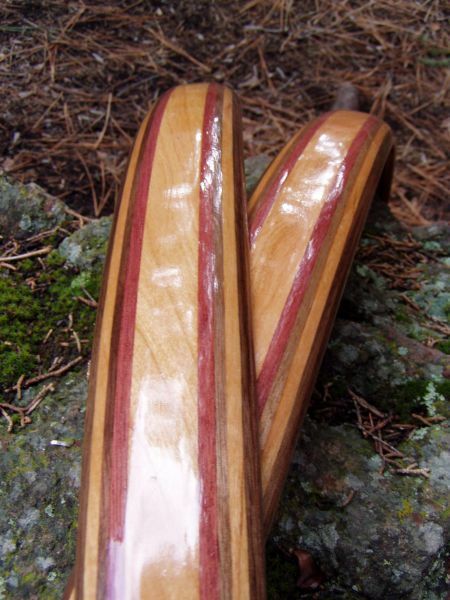 The Compound Curve Fender Set by Woody’s is a set of front and rear fenders handmade out of woods such as bamboo, African Mahogany, Bloodwood, Cherry, and Purpleheart Wood. Each set comes with stainless steel and brass mount hardware to prevent rusting and is finished with four coats of either a gloss or satin high quality Marine grade polyurethane for durability. Check out the variety of designs and woods that will make your bike look truly special.